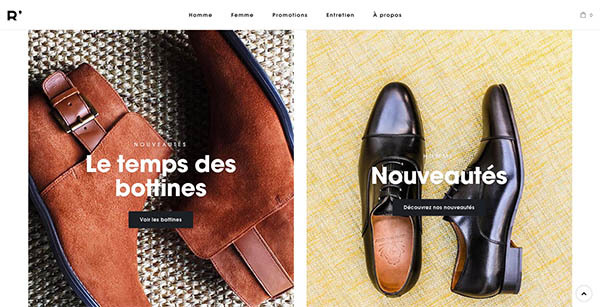 There are thousands of eCommerce web design examples available on net for inspiration, but its not easy to find inspiring examples of e-commerce web design. 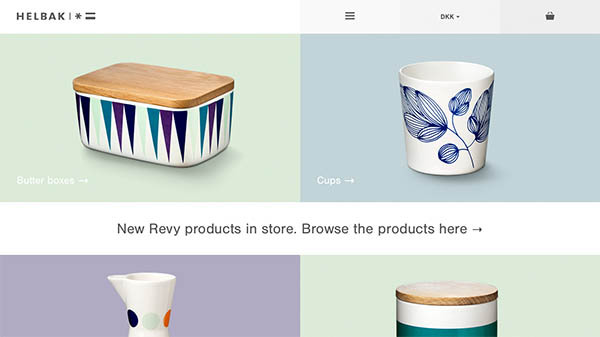 So today we are rounded up 13 Fresh ecommerce web design examples for for inspiration. 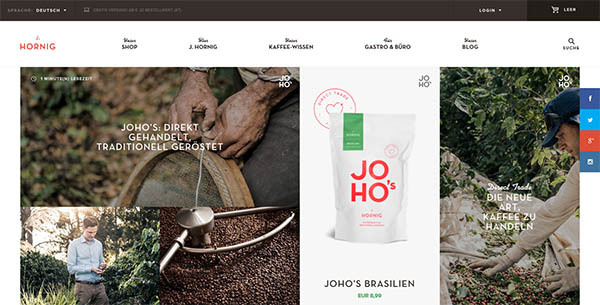 In this post we just added only inspiring examples of Ecommerce Web design. Shopping online is becoming very popular because of its advantages with the people all over the world for many different reasons. 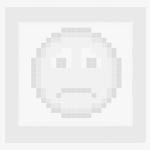 Online shopping allows you the chance to find good deals for any item that you want to buy. Every part of the Trefecta e-bike is hand built to perfection. 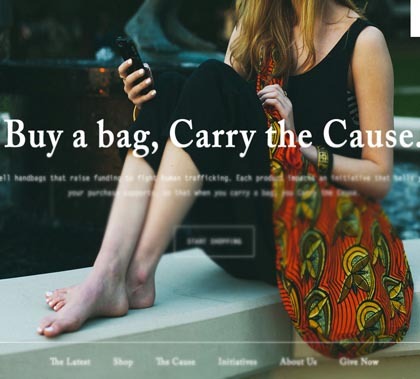 Build in Amsterdam strived to do the same when creating their e-commerce platform. 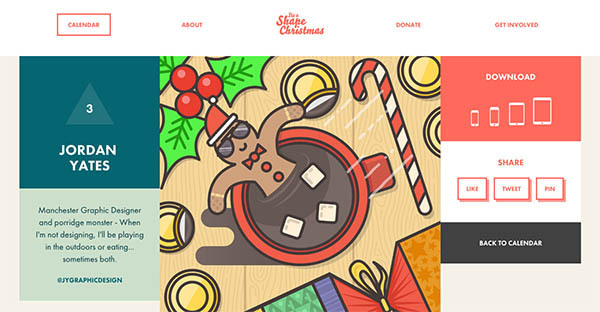 It’s a Shape Christmas is an Interactive Advent Calendar themed around Christmas & Shapes. 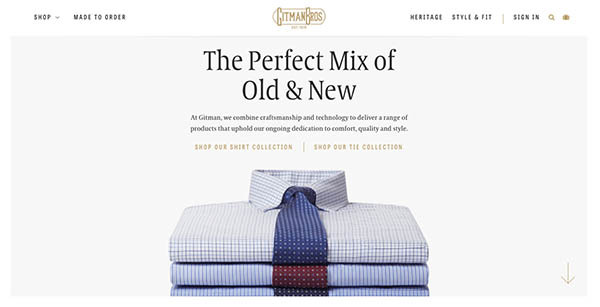 Gitman Brothers is a heritage shirt company that has been manufacturing quality shirts in America since the 1930s. Barrel worked with Gitman to design and develop their new website on Shopify. 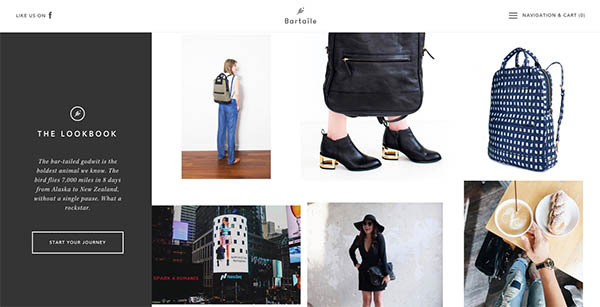 Bartaile is a modern travel brand designed for – and inspired by – people going places. 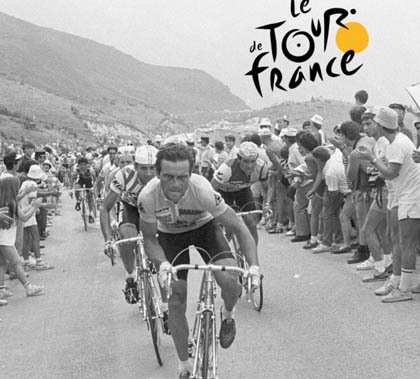 Parisian and family-owned shoes brand since 1981. 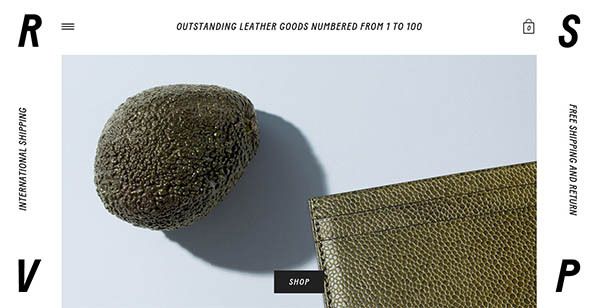 Established in September 2015, RSVP is the first crowdsourced leather goods brand. Operating under a fully integrated business model, it designs, prototypes, crafts and delivers superior quality leather goods straight from the workshop. Pursuing the idea that there is no such thing as luxury, RSVP shortcuts the traditional distribution system to offer premium quality leather goods at a true price. 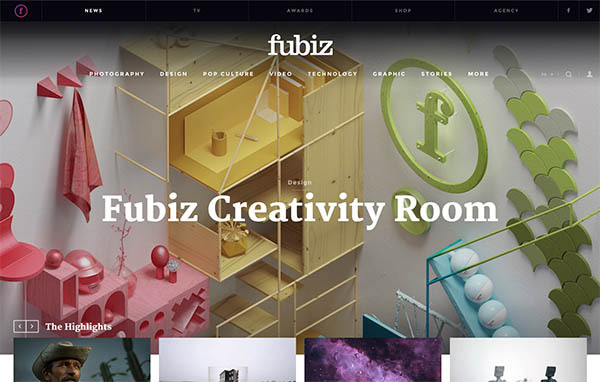 The latest creative news from Fubiz about art, design and pop-culture. 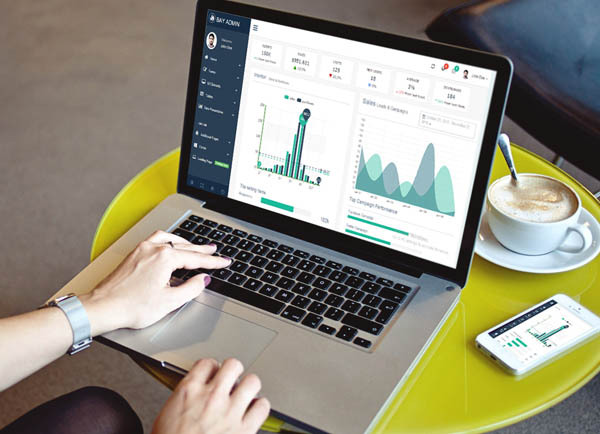 An innovative product calls for an innovative platform. 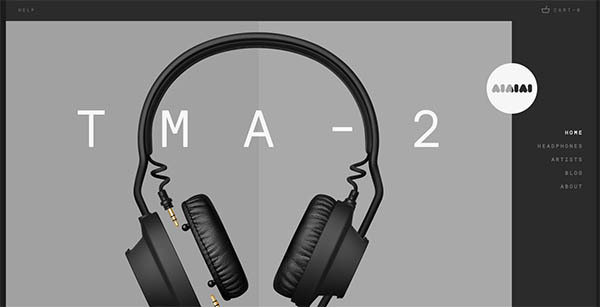 Aiaiai.dk lets users build their own unique headphones succeeds in balancing commerce, experience and branding without compromises. At J. Hornig the zest for roasting runs in the family. That’s why we’ve been following this trade for over 100 years – and are still hot at work. May we keep the secrets of the perfect roasts and blends to ourselves, the pleasure we gain from it is something we’re glad to pass on. Combined brandsite and web shop for the Danish ceramist Malene Helbak. The new Nixon.com is a globally adaptive and responsive platform that is commerce-led and culture driven. The site now features multiple paths to purchase, leveraging recommendation engines that enable customized content for each individual user and interactions that bring delight, much like the details found in their watches. 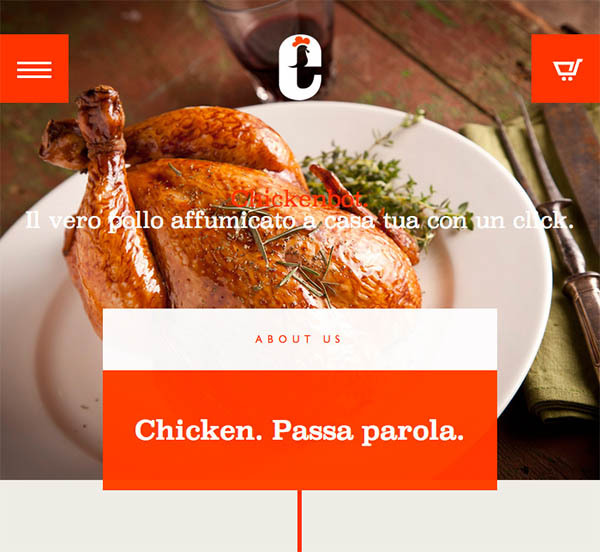 Il vero pollo affumicato a casa tua con un click. Minimal eCommerce website for a small printhouse in the UK. 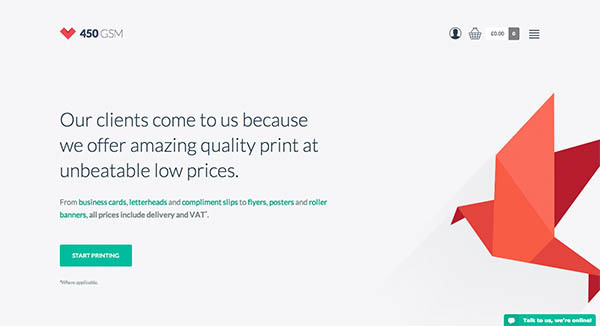 Designed to streamline your printing needs.